Nuclear Death Terror: Blood Fire Chaos Death 12" test presses! 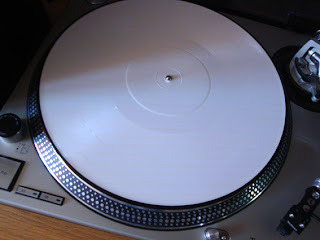 Blood Fire Chaos Death 12" test presses! They've just arrived at D-TAKT & RÅPUNK HQ in Sweden - this is what a picture disc without a picture looks like! En route to us in Australia right now to give final confirmation on, and then it's out!